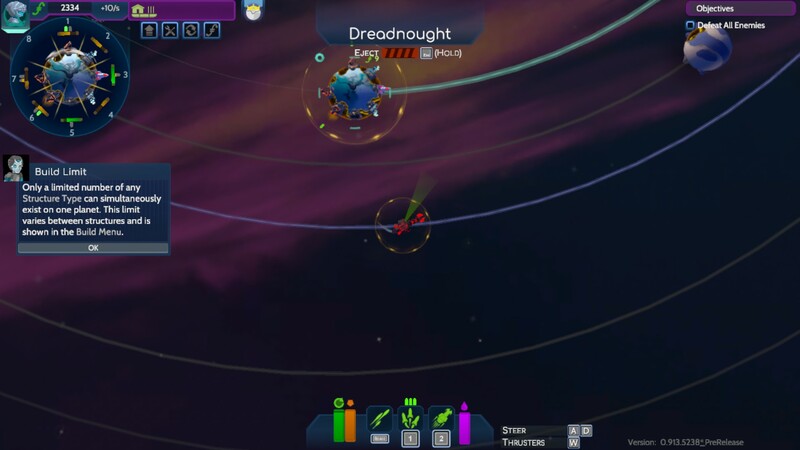 If you’ve played Interplanetary by Team Jolly Roger, you may be wondering if you have already played a similar game—and you would be half right. 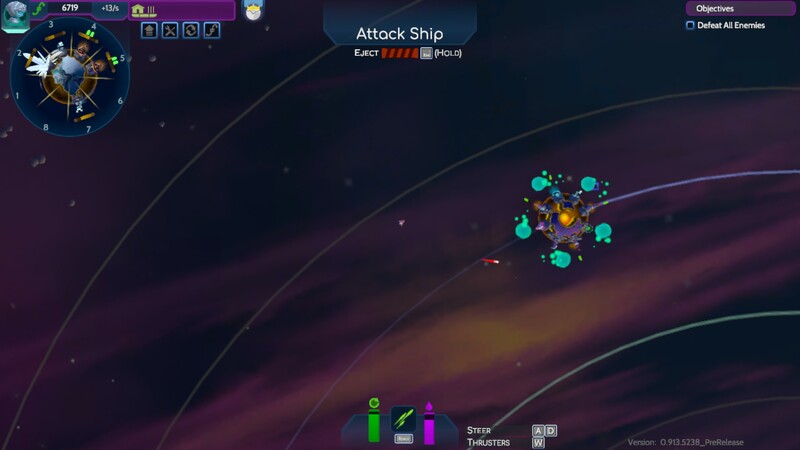 Worbital takes the core gameplay elements of Interplanetary, gravity-influenced weapons and a solar system in a chaotic free-for-all, and instead of a turn-based system this game chooses to use real-time combat. In addition, there are mini-game mechanics such as Asteroid (Atari) controls for spaceships and twin-stick shooting with Gatling guns. While these core ideals are the same, Worbital requires more time and practice—along with strategy—to adjust to the skill curve, but once you get the swing of things, you’ll be like Frank Sinatra swinging moons among the stars (and hopefully not into your own planet). Now if you haven’t played Interplanetary, the barrage of learning on your own may intimidate you when things become hectic. 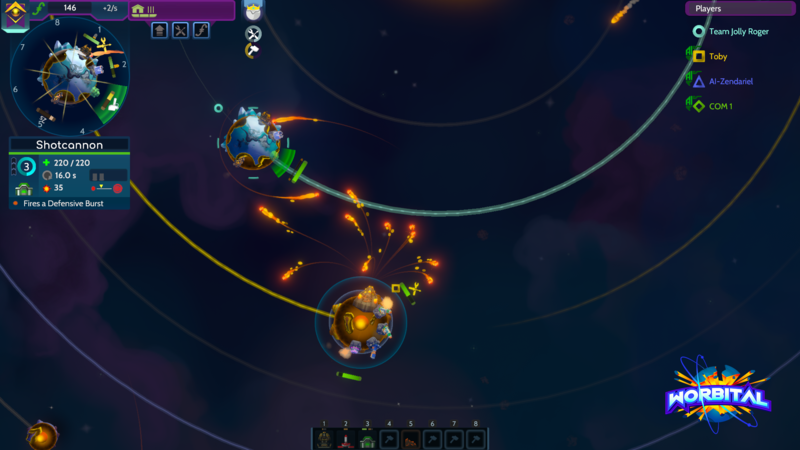 Instead of maintaining five cities and experimenting on your turns, Worbital uses eight sections of an always-rotating planet that also revolves around the star with dozens (or even hundreds) of projectiles to distract you from managing your own planet. Then you also have other players who are off in their own little worlds to avoid their demise. Hotkeys are not mandatory, but the minimalistic UI and the constant rush of information makes them even more beneficial. Needless to say, as difficult as this situation was to convey without putting you off, the pace gets in your way of learning, and the only solution is to get enough practice. This is fine (for now). To help you get your spacefaring legs, Worbital features a couple of options from the get-go. The tutorial provided does just enough to get you familiar with the controls and the core mechanics, but it doesn’t emphasize how important Tiers of technology come into play. Inside the practice menu, the “Sandbox Option” allows you to test out your loadouts in a safe environment with non-hostile AI; there is also the option to play against one AI or against all three with different difficulty settings. Finally, there are the twelve/thirteen campaign missions with all three factions, which provide you pre-made loadouts for different situations. Whatever you choose, the game will reward you with Dark Matter points, in-game currency (not purchasable), either from success or from how many planets you killed. These points can be spent on new armaments or new cosmetic items available by faction rewards for spending points, which the game has a staggering amount to sate players for a decent chunk of time. You will often earn 800 to 1000 per mission, so the rates aren’t that bad and the developers have shared they have plans to add more cosmetics and new loadout weapons. Whatever path you choose, the game will prepare you and it will reward you for your time. What they don’t tell you is the target is marked as a Sol-loser. Speaking of loadouts, each faction has slightly different choices, which will naturally lead to players creating their own builds online (or amongst friends on the couch). 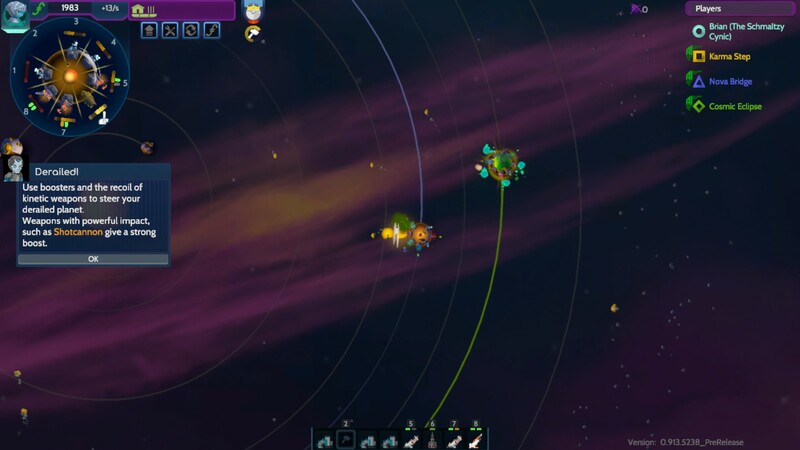 Some choices like automated refiners are shared amongst all whereas other factions may get unique stuff like orbiting-projectiles as shields. 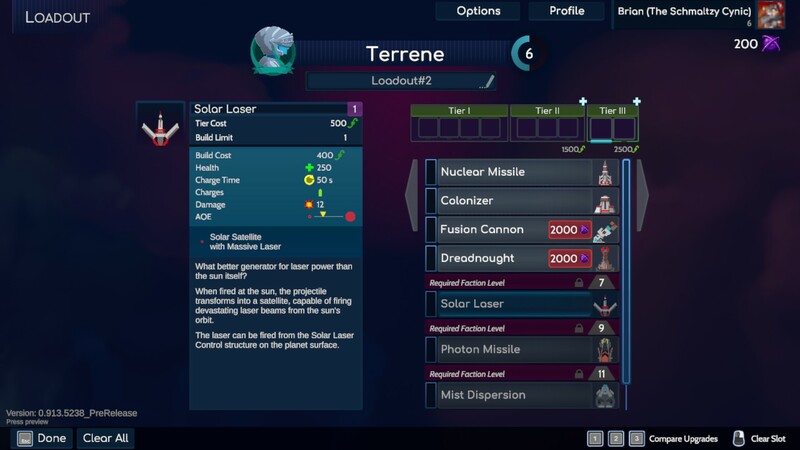 Regardless what faction you choose, the tiering system acts the same: Tier 1 weapons are quick money-makers from automated refineries to generating income from constant barrages; Tier 2 weapons are the real source of basic firepower; and Tier 3 offers quirky or devastating weapons like an asteroid that will split apart before impact or a temporary black hole with gravitational pull. Whether these factions are properly balanced remained to be seen as the game has only been in a press-beta/closed-beta, so bear that in mind when competing online; however, from the time I have played, no faction stands out as overpowering one another if played smartly. If you squint real hard, you’ll see the ship. With some general information and a few useful tips out of the way, let’s discuss some issues with the wonkier elements of the game. 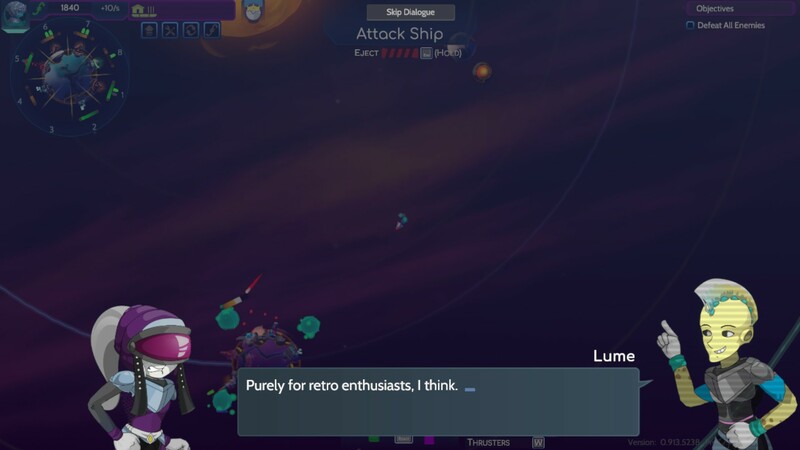 For starters, as mentioned before, mini-games like the Asteroid controls for small spaceships can be too imprecise and too much of a time-sink versus the time you could spend to improve your strategy. Remote controlled missiles, splitting projectiles, nuclear bombs, etc. are better alternatives because they only require you to hit the target, not spinning in circles trying to line-up a shot. Dreadnaughts, on the other hand, require much less work to control and they offer more damage, but they are balanced by being Tier 3 weapons and you can only have one. (Ships also don’t return home, so you have to buy more of them.) Other weapons have similar questionable mechanics, but these two ships are the clearest example. Which one would you rather bring to a fight? This problem isn’t so much an objective failing with the game as I imagine there will be one or two Asteroid wizzes out there who will make this build work for them. The situation is more so an open question about whether some gameplay elements fit with others or if they will need to be changed later. 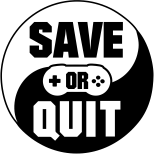 On the whole, however, the gameplay and the controls on mouse-and-keyboard are solid and there are no noticeable issues, which is what I would also say about the campaign. Earlier I had said this game is more of a multiplayer focused title, but introverts like myself shouldn’t feel left out because the campaign, while short and simple, has its appeal. As far as campaign offerings, Worbital is a lot like Starcraft in that the missions are geared towards preparing you for the big-boy strategies online. These games also split up their missions between three factions—four missions per faction—although here in Worbital the stories are more like alternative time-lines than one cohesive story. 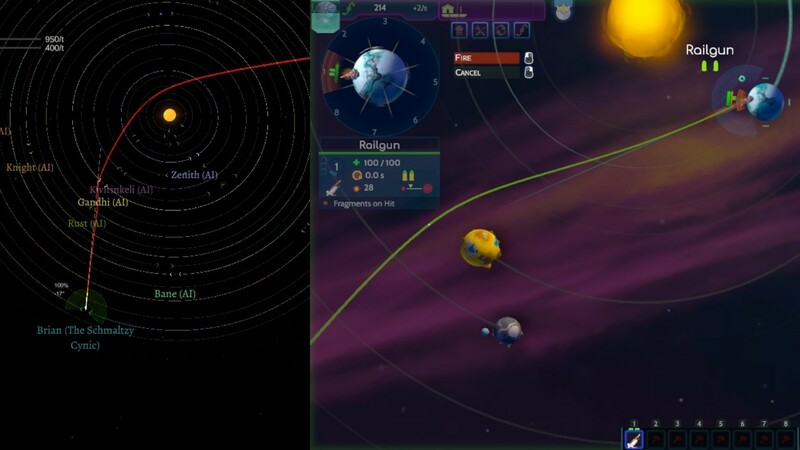 These missions all revolve around taking out one or two planets by yourself, but they give you different tools to figure out the solution on your own. This makes the campaign more replayable than it may initially appear because you know you could do better if you tried again. While there are difficulty spikes between one mission and the next, once you understand how to properly use the loadout over time—or multiple tries—the missions become more bearable. Even though all these missions are essentially the same, blow everyone else up, the game does its best to prevent stagnation by always changing the situation with no filler when it probably could have benefited from adding more. It also manages to tell a humorous story that, while family-friendly, is a lot darker than it has any right to be. Describing the tone of Worbital is almost as challenging as talking about the gameplay. At its core, it’s a tale of three friends who each want to solve the impending resource crisis for their home planet, but they have different solutions. 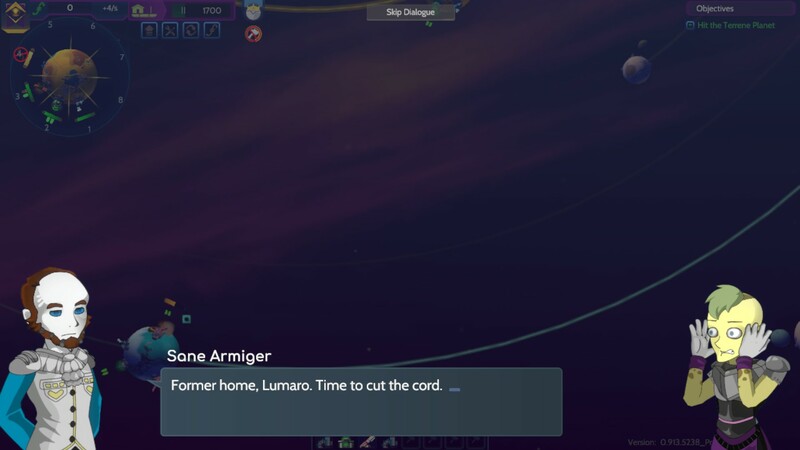 You have the Terrene who want to stay at their home planet, yet they also expand their resources away from home; you have the Luna, which they want to eliminate all other factions because the calculations say there isn’t enough for everyone; and then you have the Celestials who believe colonizing the stars without end is the only solution. As serious as this situation is portrayed, the comedy offsets the darker aspects such as the realization that you’re committing genocide on a planet that looks right out of a Dr. Seuss book. Again, as I said about the gameplay, this isn’t a problem; in fact, the tone-shifts make those darker elements more amusing. It’s more so a genuine statement that if you asked me if a story about exploding planets met my expectations, my response would be, “To be honest, I didn’t know what to expect, but definitely not that—however, I do like it.” That statement sums up Worbital in one sentence. Better nukes here than in Fallout 76.